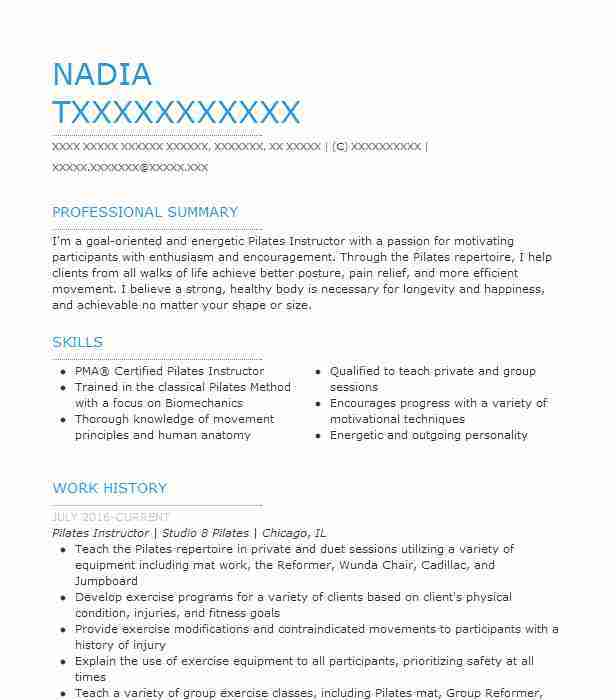 Lithe agile and fun Pilates Instructor with patience and determination.Able to impart knowledge through sound teaching strategies and modeling.Has led group pilates classes for eight years with many continuing and return students. Led multiple group pilates classes. 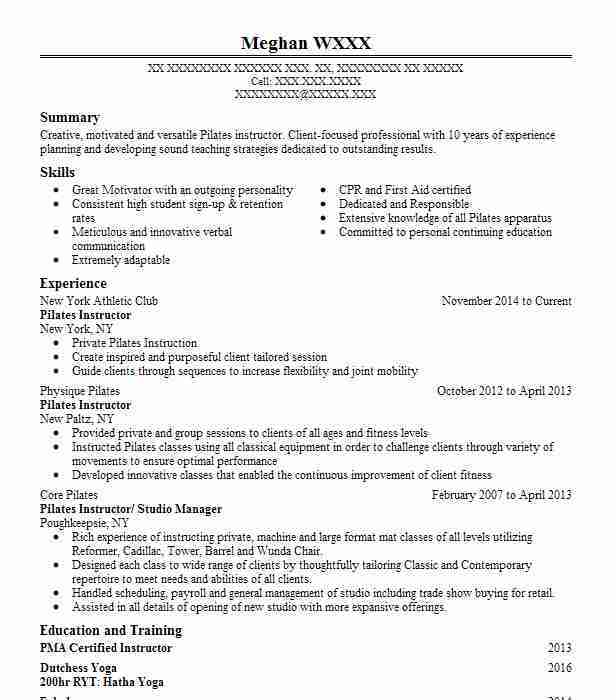 Achieved an enviable 82 percent retention rate. Had multiple return students for new classes when old ones ended. Was voted "best pilates instructor" by World Gym participants. All classes were always full. Used great instruction methods to create a fun learning environment. 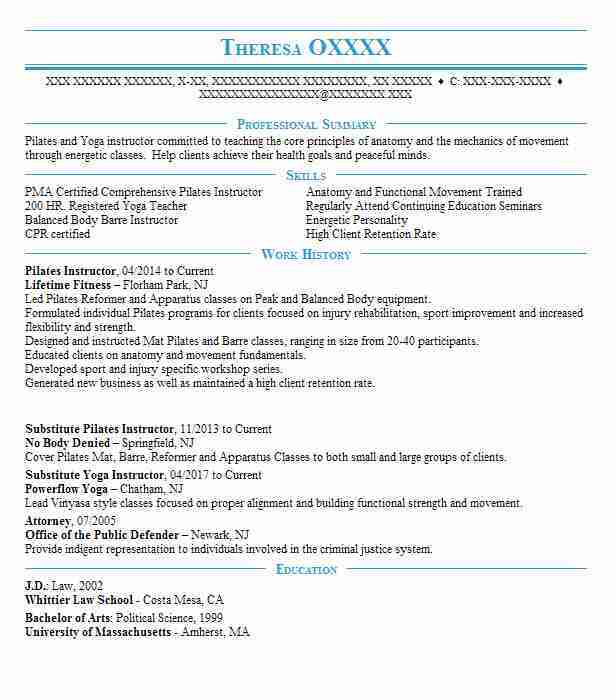 Taught multiple pilates courses to men women and children. Stressed importance of proper stretching to avoid muscle injury. Helped students learn how to use equipment to improve flexibility and core body strength. Instructed students on the six pilates pillars. Modeled exercises for students to ensure they learned appropriate form and technique. Incorporated breathing and centering techniques into instruction for optimal health. Taught students how to use bands balls and other equipment designed to assist them in becoming leaner and stronger pilates students. 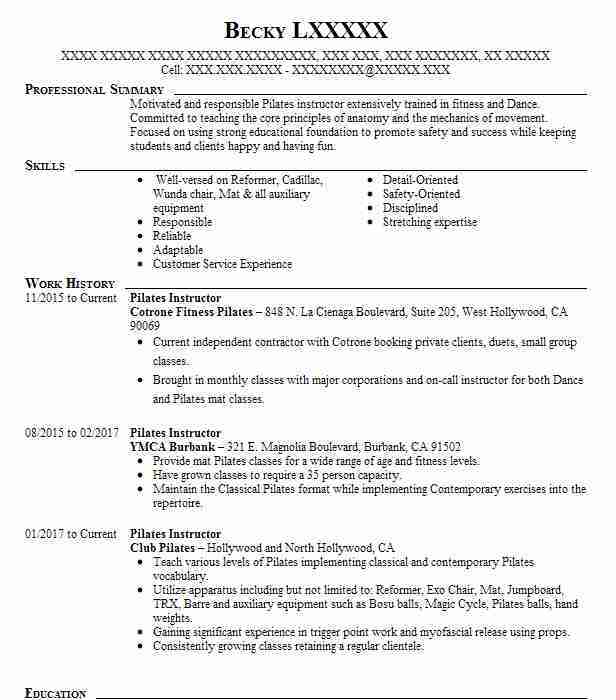 There are plenty of opportunities to land a Pilates Instructor job position, but it won’t just be handed to you. 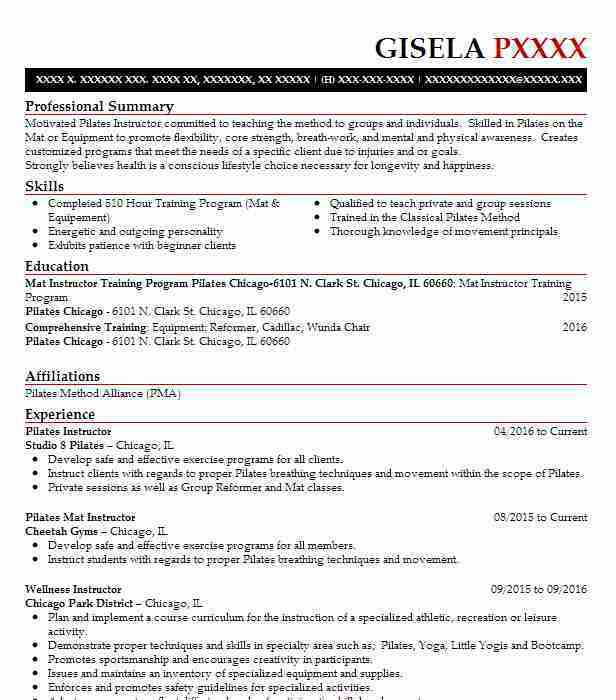 Crafting a Pilates Instructor resume that catches the attention of hiring managers is paramount to getting the job, and LiveCareer is here to help you stand out from the competition.